Next weekend, Matthew and I will head out to Pittsburgh, PA for a weekend filled with running and friends. We will be running the UPMC Health Plan/UPMC Sports Medicine Pittsburgh 5k Run (I think the name is longer than the race!) on Saturday followed by the UPMC Health Plan Pittsburgh Half Marathon on Sunday. The weekend also features a full marathon, marathon relay, kid's races, and a pet walk. 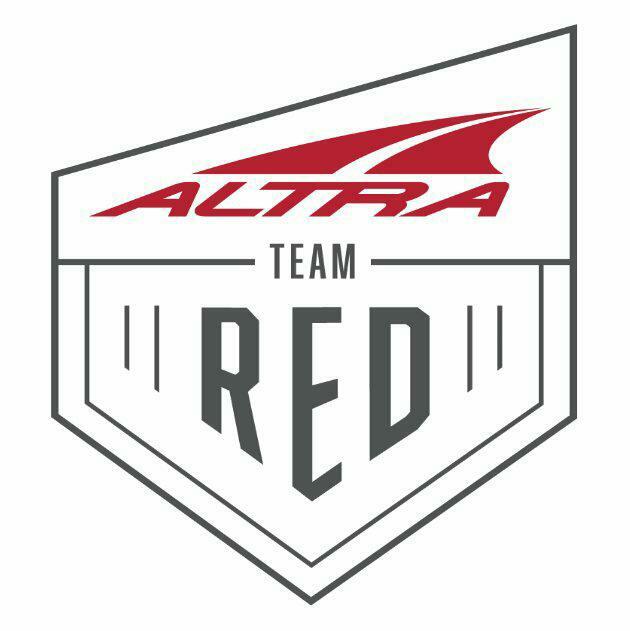 I've heard that this race is a fantastic event and that the course is beautiful. I've also heard that it's super hilly. Either way, I'm looking forward to a new course in a relatively new city. I've only been to Pittsburgh twice, both times for work, and didn't have a lot of time to enjoy the city. What better way to get to know the lay of the land than by running 13.1 miles through it? 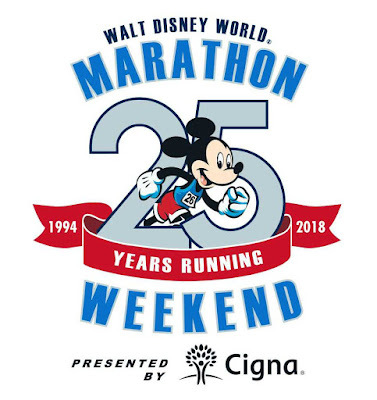 So, Lauren, Steff, Jeff, Chelsea and me are running the Akron Marathon on September 27th and then driving to Pittsburgh to run The Great Race 10k the next day, September 28th. Matthew will run the Akron Half Marathon and I think we'll be able to start together because I'm running the first leg of the marathon. Pretty neat. 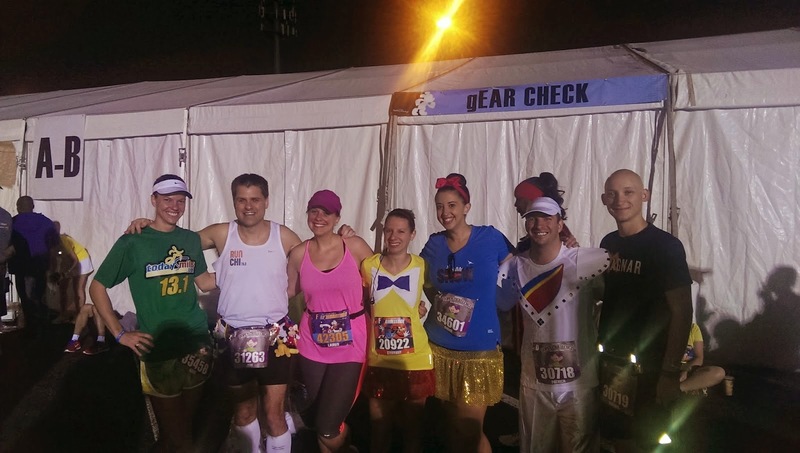 Oh yeah, and Nathan- another friend from Disney- will be coming up from his home in Florida to run the Akron Half. It's going to be an awesome fall weekend! Running reunions with these beautiful people in May and September! Excited! My new shirts from RUNtelligence just came in the mail yesterday- I'll probably end up wearing each one for the Pittsburgh races. I'm hoping for nice, spring-like weather (50 degrees would be perfect) so I can just wear shorts and a short-sleeved shirt. I don't plan on trying to PR either of these races. I've heard the course can be challenging and honestly, I just want to enjoy both of the races and earn the title, "Runner of Steel." 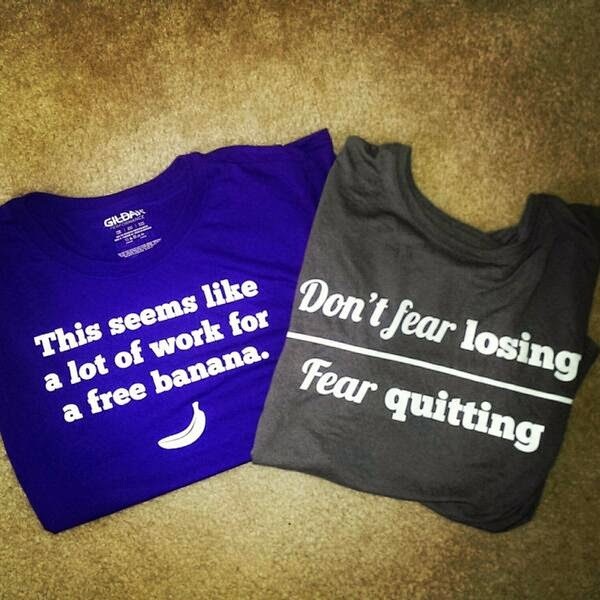 Yay for clever sayings and comfortable tech shirts! 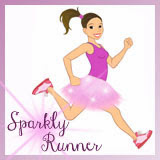 Also, my RUNtelligence giveaway is still going on- and if you use the code "sparklyrunner" at checkout, you'll save 15% on your RUNtelligence order until April 30th- just in time for your spring races! Overall, I think we'll come home from Pittsburgh with tons of new memories and hopefully, lots of new running friends. QOTD: What do you look forward to most about a new race? HOLY MOTHER OF GUACAMOLE I CANNOT WAIT TO REUNITE WITH EVERYONE. I can't WAIT until we can update that pic of us. While fantan, it reminds me of waking up at 2:45 AM and then bonking super hard. I LOVE that banana tshirt! You are the best. person. ever! That sounds like a fun weekend! Enjoy! 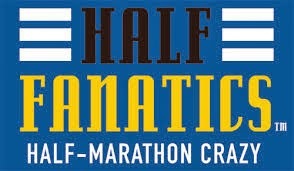 I am running the Pittsburgh Half this year! The course isn't terribly hilly. The worst is mile 11-12 which is all up hill but you can do it! The crowds and the scenery will be amazing! I promise! Good luck! Thanks, Jaci! I actually watched a video of that hill from miles 11-12- WOW! I am going to have to motivate myself to keep chugging along up all that craziness. But I've heard the crowds are awesome so I am really excited!